For Fraser ‘Spazzer’ House gaming began with Starcraft: Brood War and amusingly his career in esports began with the release of Starcraft II in 2010. It all begin with the creation of a small blog called SpazCraft, which portrayed his development as a novice Starcraft II player. 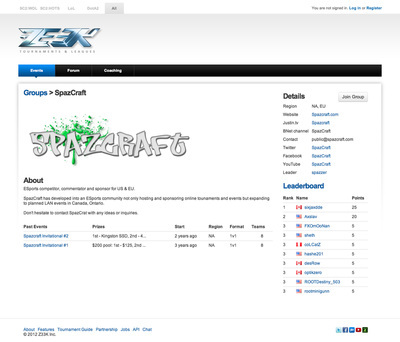 The development of SpazCraft was ongoing while he attended Loyalist College for Law Enforcement from 2010-2012. 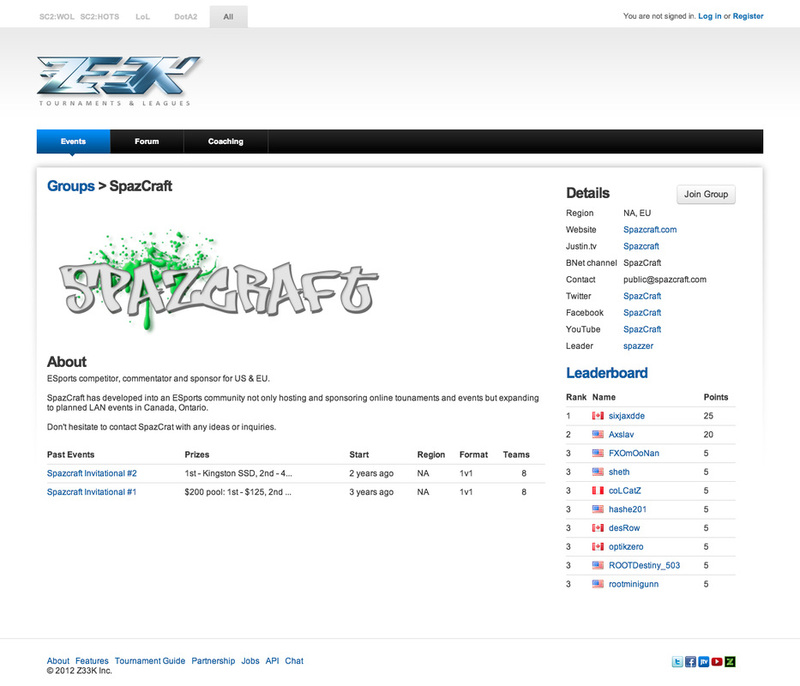 SpazCraft quickly grew from a small blog to become a highly respected esports community. Spazzer quickly made the decision to turn SpazCraft into a weekly broadcast and tournament host for Starcraft II events after his involvement with sponsoring pre-existing tournaments. As a result of this, the well-known event called the Destiny Showmatch Series was launched. The event was a weekly sponsored tournament where Steven Bonnell II would go head-to-head with a pro Starcraft II player in a best of five series. The event was streamed on Justin.tv (Twitch.tv) and received a great deal of recognition and followers. There were weekly occurring events funded by SpazCraft sponsors that had prizes ranging from $50-$1000 and were viewed live by thousands of viewers. Each SpazCraft series had live commentators from around the Starcraft II scene and many of these esports casters have since moved on to bigger and better things. Specializing in communication, management and marketing, Spazzer was able to involve many existing esports enthusiasts ranging from shout casters, marketing directors, fan websites and pro esports players to create these incredible events. He obtained twenty sponsorships with non-related esports companies over the lifespan of SpazCraft, many of which are still involved in esports to this day.